Creating an individual voice while still being a part of a large company can be hard. And finding a balance between creating your own image while still maintaining the look of the brand as a whole is even harder. 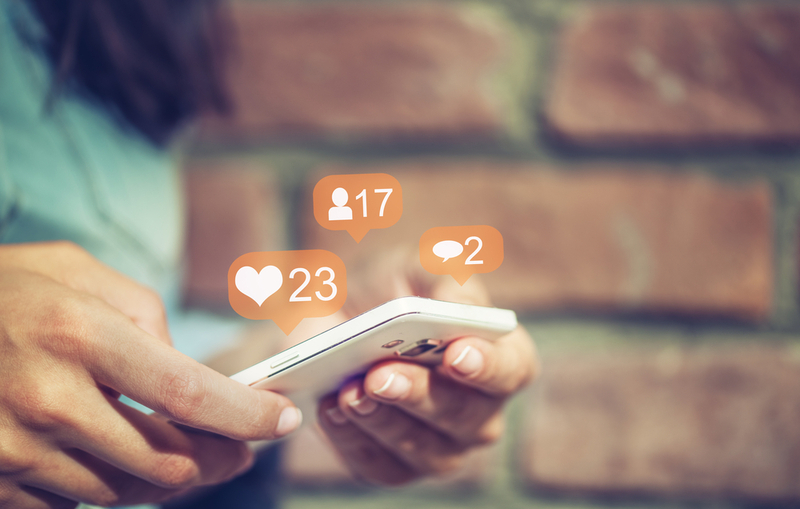 Social media and digital marketing can be challenging for any business, but franchisees face unique problems when it comes to social media. Before we get ahead of ourselves here, it is important to note that franchisees aren’t expected be experts in social media or digital marketing. And we are here to help! Here are some common mistakes made every day by franchisees all over the world. Avoid making these and you’ll be well on your way. When you are a part of a large corporation, its super important to differentiate yourself as much as you can. You want to create a personal brand while still leveraging the recognition of the corporation as a whole. Sometimes the head office of a corporation will pre-populate social media posts for franchisees to put on its accounts, which is helpful and often necessary. But these posts will focus on national campaigns which isn’t going to cut it as your only form of social media posts. Additionally, a lot of franchisees will fill their timelines with reposts from the corporate accounts. This gets boring real quick, and makes your local franchise’s page entirely redundant. Fundamentally you need to add a personal, local angle to the brand. Unfortunately, sharing posts from the corporate brand page won’t get it done. In the end, your goal should be to reach the community you are in to increase business. In order to do this, your audience needs to be able to “see themselves” in your posts. This is achieved by showing off your customers, reviews and specific location within a community. People don’t follow you on social media to be sold at. They follow you to learn more about you and your product, feel connected and sometimes be entertained. Use this to sell more rather than the blunt-force approach of constantly posting offers. If you want to go down the path of direct offers, try exclusive offers for your social media followers. But only occasionally. Another common social media mistake made by franchisees is infrequent or inconsistent posting. We understand, life is busy and some weeks you have more free time to post than others. But what this leads to is a large variance in the frequency of your posts for week to week and month to month. This is why the planner in Digital Stack is so helpful. It allows you to think ahead and be strategic in your posting while still only taking 45 minutes to an hour out of your month. You don’t want your followers wondering if you are still open/operating because they haven’t heard from your account in weeks but you also don’t want to annoy them with incessant posting that they want to unfollow you. There isn’t an exact formula for how much to post, there are success stories from the whole spectrum of posts per month. So whether you are posting 8 times a month or 20-keep it consistent each month and remember, quality over quantity always. What really hurts a franchise is posting content that is off-brand and unrelated to the corporate vision. We see a lot of franchisees that share blogs and infographics that are in no way related to the brand, or pulling quotes and images from Google and slapping the company logo on it. These posts look very different than the set guidelines from head office for branding. These social media mistakes look unprofessional and actually hurts your franchise. One of the best parts about being a franchisee is getting to leverage the recognition and awareness of a strong brand. Having every location ‘reimagine’ the brand decimates trust and looks straight-up unprofessional! So stick to the guidelines set by head office and you are on your way to creating a clear and consistent message for not only your location, but every location around the country/world. A social media feed shouldn’t be a projection onto its followers. Post content that invites interaction and feedback. Ask a question. Get followers to vote with reactions and emojis. Request feedback. The tone and type of posts should be such that your followers feel like getting involved in the conversation. On that note, your page should also be following a bunch of your followers and other related and local small businesses. Get involved in your online community. All the social media platforms are continually evolving to offer different mediums and formats. Facebook Live video. Instagram Stories. Snapchat custom filters. So make use of them! It keeps things interesting for your followers and for you! Too often franchisees stick to standard static posts on Instagram or Facebook featuring a photo and caption. Throw something different at your followers! It’s also worth noting that social media platforms typically reward video content by putting it in front of more people – i.e. more reach. Winning on social media is a constant process of trying new things and refining your social media plan to see what works. Learn from your social media mistakes and get better. And if you can learn from others’ – like this list of classic franchisee mistakes – you’ll be even better off.